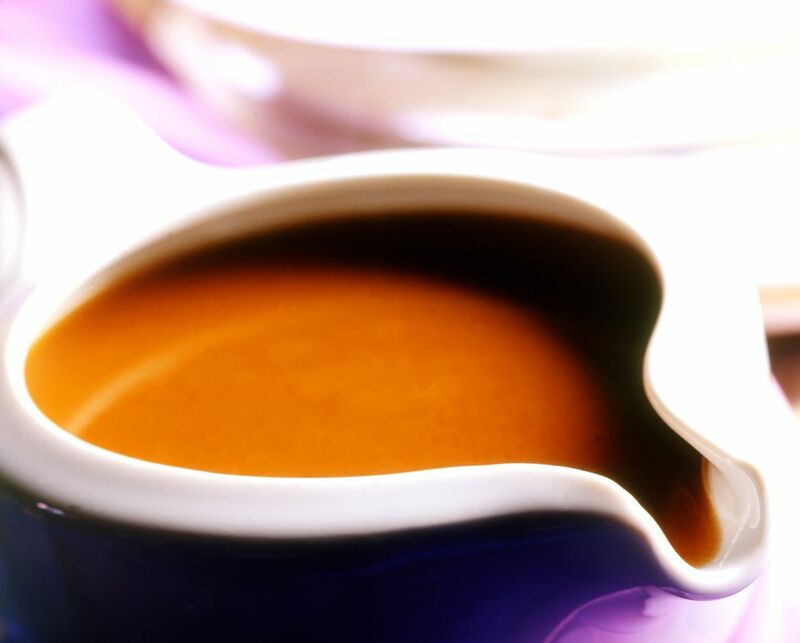 A thick sauce made with beef broth and vegetables, this is one of the most popular sauces in Spain. It is generally used to accompany meat. Although it is named ​salsa espanola, or Spanish Sauce, it is similar to gravies served in other European countries. According to some gastronomic history sources, the sauce originated in Spain in the 1600s. Salsa espanola is easy to prepare and is a healthy sauce that includes just a bit of oil. First, brown chopped onions, carrots, and a leak, then add beef broth and simmer for about 45 minutes to reduce the broth. Finally, puree the sauce and pass it through a sieve. Serve warm with meat dishes, such as roast beef, grilled steaks, or even beef kabobs. Peel and coarsely chop the onions, carrots, and leek (including some of the green portion). Pour the olive oil into a large saucepan or pot and heat on medium. Add the chopped vegetables and brown them for about 5 minutes. Stir occasionally to ensure that the vegetables do not burn. As you stir, gradually sprinkle the flour into the vegetables and allow the mixture to cook on low heat for two to three minutes. Slowly pour in the beef broth, while stirring. Simmer for 45 minutes uncovered, on low heat. Once simmered, add salt to taste. Using a stick mixer or food processor, puree vegetables until smooth. Then, pour through a sieve. The sauce should not have any lumps. Serve warm to accompany roast or grilled meats.